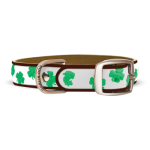 Dublin Dog's KOA collars are a combination of unique styling and waterproof technology giving you bold style for big adventures. Impervious to dirt, moisture and odors, KOA rinse clean in seconds. 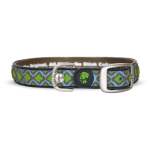 Meet Dublin Dog's flagship collar - it's 100% waterproof, won’t stink and rinses clean in seconds. It's no wonder this is what they're known for. In addition to a full guarantee against defects in material and workmanship, KOA collars have a pull strength of over 1,200 lbs. and UV inhibitors that prevent yellowing or fading. 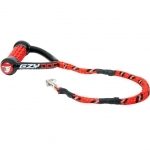 Zero Shock Technology is the advanced shock absorbing component in the center of the leash that cushions and eases the pressure for both the owner and the dog. 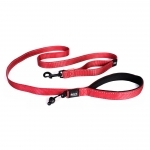 The Soft Trainer & Soft Trainer Lite are two of the newest soft handle dog leashes in a line of top performing dog training leashes from EzyDog. 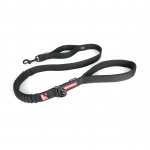 With the neoprene upper loop and additional traffic control handle managing your pup will be a breeze. Our Quick Fit dog harness is designed to fit dogs of all sizes comfortably and with full control. 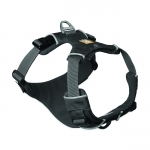 This lightweight one-click harness is loved by dog owners and dogs alike. 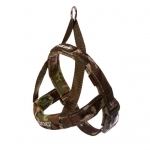 Comes in a variety of fun colors like our new candy and camo pink dog harness. Neo for Neoprene. Neoprene is a soft rubber material that is used in wetsuits, and its reinforced with nylon webbing for added strength and durability. 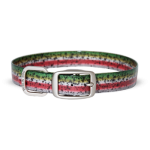 Great for waterproof dog collars. 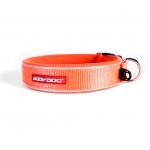 Keep your big dog by your side with this strong secure large dog leash like the 12 inch Mongrel from EzyDog. Great for keeping your big dog at your side at all times with a no slip handle. Convert Dog Harnesses is an extremely versatile dog harness doubling as a service dog vest that you can easily take just about anywhere! Add a Custom Side Badge for service dogs or dogs in training. NEW Transform your Convert Harness to a dog backpack with our Convert Saddle Bags Attachment. 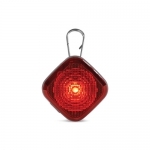 Available in four solid colors and four patterns. 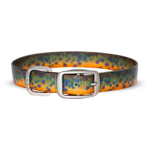 Available in four solid colors and four patterns. 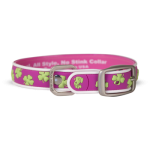 Get our matching Hoopie™ Collar for the complete set up. The Ruffwear Front Range Harness is an everyday harness that is easy to fit and put on, and comfortable for dogs to wear. 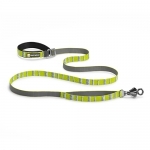 The harness features two leash attachment points: an aluminum V-ring centered on the dog's back for everyday walks, and reinforced webbing at the dog's chest for training or additional control. ID pocket keeps dog tags quiet and easily accessible. 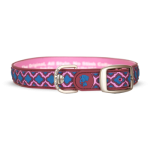 Harley-Davidson® Nylon Leash - 3/8"
Nylon leashes feature vibrant, colorfast Harley-Davidson logos with graphic designs. 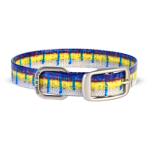 Harley-Davidson® Adjustable Nylon Collar - 3/8"
Perfect for the growing pet, these adjustable collars feature outstanding, colorfast graphics and are beautifully printed on both sides. 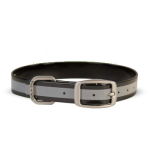 The snap-lock buckle on these adjustable nylon collars is contoured to fit the pet's neck more comfortably. 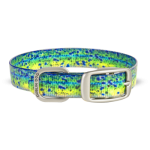 Harley-Davidson® Adjustable Nylon Collar - 1"